Does your company have a drug problem? According to National Surveys*, over 35% of all employees know for a fact that drugs are being used, traded and sold at their workplace. Using methods that until recently were only available to law enforcement agencies, Reliant Drug Test Solutions will inspect your company to see if drug residue is pre- sent anywhere in your business. Using “wipe and spray” technology, we check for minute traces of drugs on desks, keyboards and phones, in bathrooms and break areas and inside company vehicles. Anywhere drugs could be used, sold or traded. Trained detection technicians follow a specifically designed plan to determine if your business is “infected” with drugs. If you have large areas, we can even do a complete K-9 sweep. 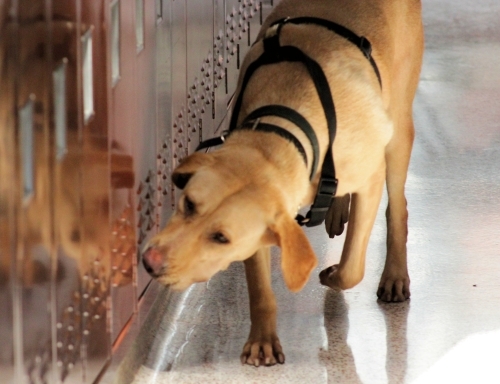 Specially trained drug detection dogs are brought in for a sweep of your warehouse, manufacturing area or loading docks. And because we are not law enforcement, you decide how you handle any issue that would arise from these sweeps. This is all accomplished privately, without media attention. No potentially damaging headlines in tomorrow’s paper. You’ve worked hard building your business. Don’t gamble it away. Call us today for a free consultation and find out how you can gain peace of mind knowing that your business is safe from Drug Abuse.